The Dmm Chimera Quickdraw is similar to the Alpha Light but with an updated rubber keeper and an 8mm dyneema sling. Dmm's flagship Lightweight binner The chimera is both easy to use and very lightweight at only 30g per Carabiner. For the price I think it is a remarkalbly good quickdraw from DMM. 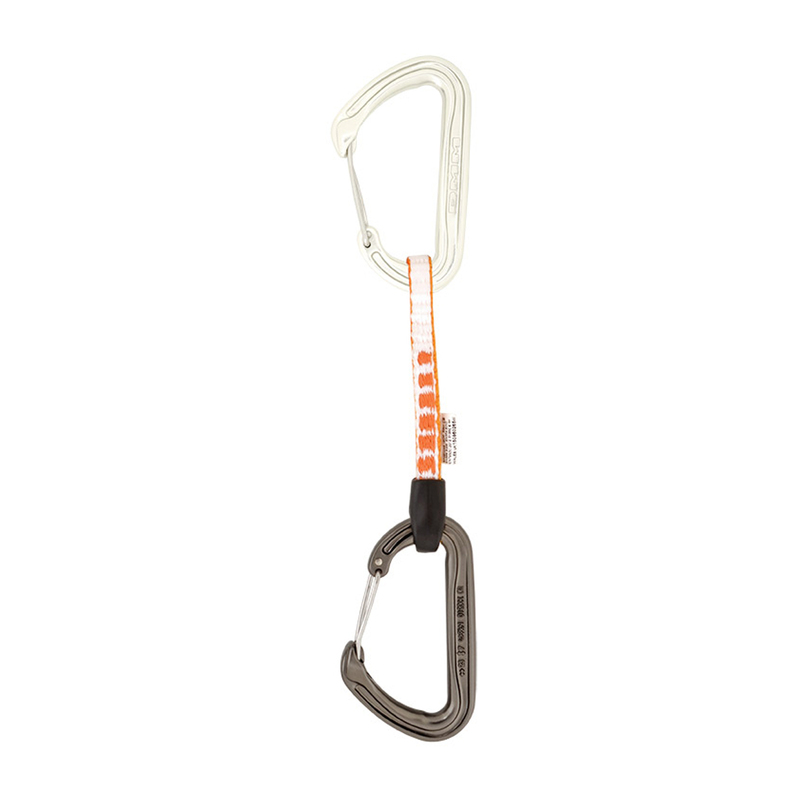 Easy to clip and unclip thanks tot the special design of the carabiner makes it perfect for sport climbing and multi pitch routes due to the low weight and size. I would however buy more of the 18cm version.